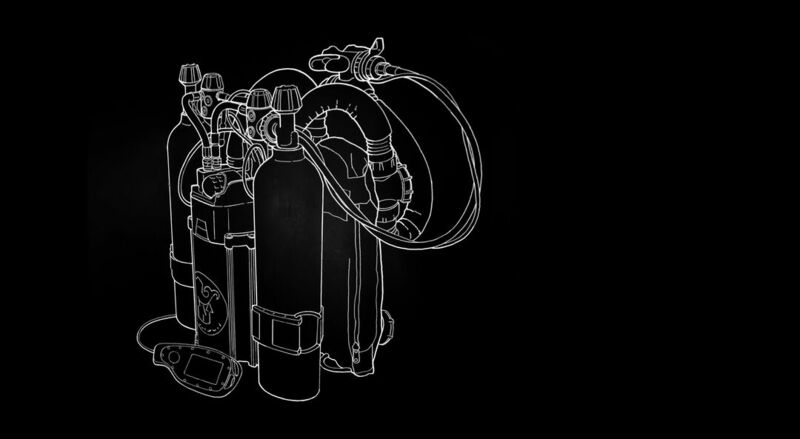 What are the parts of a rebreather and how do they work? A rebreather mouthpiece connects the diver to therebreather, so he/she can breathe from the loop. When a diver descends, the gas in the loop will becompressed as pressure increases from the surrounding water. After a couple ofmeters/feet, the gas will be so compressed that the diver won’t have enough gasin the loop to take one full breath. This is when the ADV is activated andmakes sure that the diver gets enough additional gas from the diluent cylinder,which is injected directly into the loop. The ADV can be placed on differentlocations: on a t-valve, counterlung or on/in the mouthpiece. On the POSEIDONSE7EN it is placed inside of the mouthpiece. The bailout valve is either attached or integratedinto the mouthpiece. When the diver needs to go off or on the loop he/sheactivates the BOV. The reason for bailing out from the loop is mainly that youhave an “un-breathable loop”. Once bailed out the diver will exhale straightout into the water like a normal open-circuit diver. On the Poseidon SE7EN theBOV is integrated into the mouthpiece. The heads-up display sits on top of or is integratedinto the mouthpiece. The HUD will show the diver if the system is ok or ifthere are any warnings to be aware of. On the POSEIDON SE7EN the HUD isintegrated into the mouthpiece. To make sure that the gas in the loop travels in theright direction, a rebreather utilizes one-way valves or mushroom valves. Thiswill prevent the air from simply going back and forth in the loop, and it willinstead be channelled around the diver; in through the scrubber and past theoxygen sensors. The loop hoses connect the different parts of therebreather so the gas can flow through the system. If water for some reason gets into the loop, it is important to divert it away from the scrubber. If water reaches the scrubber, aalkaline solution will be created. This solution is commonly known as a causticcocktail amongst rebreather divers. If this solution travels back to the diver’smouthpiece, there is a risk that the diver will “burn” his/her lungs from thechemical solution. If the diver suspects a flooded loop, the diver must use thebailout valve, end the dive, and ascend safely. Human lung volume is generally about 5-8 litres, andwhen you dive a rebreather this volume of gas needs to be collected somewhere.Therefore, a rebreather has counterlungs that collect the gas that you exhale.Normally a rebreather has two sets of counterlungs: an inhalation side and an exhalationside. If you need to drain the loop of gas or water, youwill be able to do so from the exhalation lungs OPV. The OPV can be adjusted sothat you always have the right amount of gas in the loop. You will learn moreabout this during your Poseidon rebreather diver course. The canister housing sits on the diver’s back in mostcases and protects the scrubber. On top of the housing is typically where thee-module will reside. 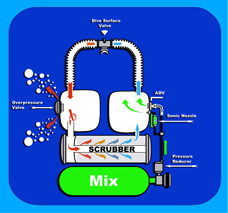 The scrubber is a soda lime based product that isdesigned to deduct carbon dioxide from the gas that passes through it. When ascrubber is being used in a rebreather, it is integrated in the loop. It willthen absorb the CO2 in the gas that isproduced by the diver. This process is called “scrubbing” amongst rebreatherdivers. The e-module contains the computers, oxygen sensors and the solenoids. This is where the oxygen content of the loop gets analyzed. If needed, oxygen is added into the loop. The most important thing when it comes to rebreatherdiving, except for breathing continuously, is to always know what gas you arebreathing. For this reason you will need oxygen sensors in the loop to analyzethe gas that passes through. Depending on what type of rebreather you are using,you will add oxygen manually (technical rebreather) or the machine will addoxygen automatically (technical and recreational rebreather) to make sure that the fraction of oxygen is correct in the loop. Solnoids or pneumatic solenoids, sit in the end of alow-pressure hose from either the diluent or oxygen cylinder. When therebreather or the diver detects that the machine needs either more oxygen ordiluent in the loop the solenoid is activated. When the solenoid is activatedit will shot the respective gas into the loop in small bursts. Whether the diver manually or the rebreatherautomatically triggers the solenoids depends on if the rebreather is arecreational or technical machine. To keep the level of carbon dioxide down in the loopis one of the concerns of a rebreather diver. If the carbon dioxide gets toohigh, a diver can get in a stage called hypercapnia, which means that the levelof carbon dioxide in the body is too high and this will prevent oxygen fromreaching all parts of the body. That is why some rebreathers are equipped withcarbon dioxide monitoring systems. If the system is triggered, the diver needsto use the bailout valve, end the dive, and ascend to the surface. Carbon dioxide monitoring systems that currently existare temp-sticks and CO2 sensor technologies. The systems are there to sense ifyou get an elevated level of CO2 in the loop or if the scrubber is starting to loseit’s capability to scrub. When the scrubber is actively scrubbing CO2 from theloop, heat is created from the reaction. Having a “temp-stick” running throughthe canister will allow the diver to register the temperature shift in thescrubber during the dive. When the temperature falls to a lower level, thediver can react appropriately. When using a CO2 sensor the rebreather will try tofind elevated levels of CO2 in the loop. This would indicate that the scrubberis depleted or that the gas in the loop is surpassing the scrubber somehow. The scrubber will actively be scrubbing CO2 from theloop until the scrubber is depleted. This means that there isn’t a fadingaffect of the scrubber capability; it will either be active or depleted. TheCO2 sensor is designed to warn you when you get a higher level of CO2 insideyour system. 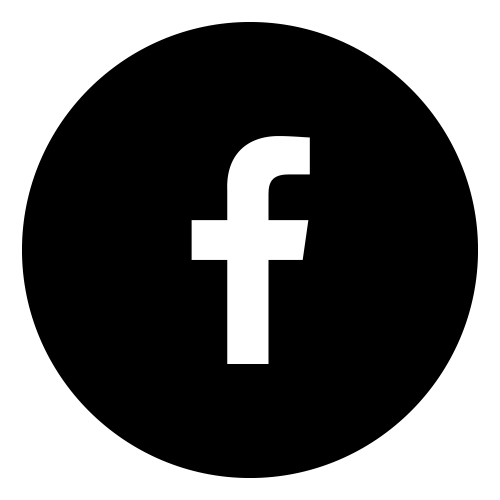 This means that the sensor can only warn you once the scrubber iscompletely depleted and then gives you a very short time frame to bailout ontoopen-circuit before the elevated carbon dioxide levels will force the you intohypercapnia. Because of this, the sensor could give you a false sense ofsecurity. A rebreather diver always needs to know the theoretical amount oftime left on the scrubber and plan the dive accordingly. The battery or batteries will provide the power forthe computer or computers. Different manufacturers use different types ofbatteries. Some use normal AA batteries and others uses smart batteries, whichwill store dive logs and contain buddy alarms, like the POSEIDON SE7EN. ThePoseidon Smart Batteries comes in five different versions that let’s you getaccess to different depths by enabling deco-mode and Trimix diving. The oxygen and diluent cylinders are placed on eachside of the canister housing. The oxygen cylinder is primarily used for thedivers metabolism rate and contains 100% oxygen. The diluent cylinder is usedfor compensating the decreased loop volume upon descent and filling up yourbuoyancy devices. The Diluent contains normal air in most cases and if you area technical diver the diluent contains different types of gas mixtures of Trimix. The first stage regulators make sure to decrease thepressure of the cylinder to an intermediate pressure that will go to thesolenoids for an even distribution into the loop. The diluent gas will also bedirected to the mouthpiece if the loop doesn’t contain enough air for onesingle breath. Then the diluent gas will be added into the loop automaticallythrough the Automatic Diluent Valve. The O-rings in the rebreather are very important forthe functionality of the rebreather. They prevent water from entering the loopand gas from escaping the loop. All rebreathers use a display or computer of somesort. Some use an external computer, which the diver will need to purchase themselvesand add to the rebreather configuration. Other rebreathers have a display andcomputer built into the system from the start, like the POSEIDON SE7EN. Thedisplay or computer will show the diver all of the important data they willneed to know during the dive and on land. The diluent cylinder on a rebreather is usuallybetween 2-3 litres (14-20 cu ft). This means that if you would need to bailoutfrom the loop and go over to open-circuit mode, you will have very limited timeto get to the surface before the diluent supply runs out. The reason for thisis that the gas is not being reused anymore; instead you are now exhaling allgas right into the water. This is why a lot of rebreather divers carrysomething called a bailout cylinder. The bailout cylinder has a greater volumethan the diluent cylinder and can also be used to fill your dry suit when coldwater diving. The bailout cylinder gives you extended time to make a safeascent to the surface in a bailout situation. As soon as you are planning a dive below 18 meters /60 feet most dive agencies say that you should carry a bailout cylinder. A divedown to 30 meters / 100 feet it is sufficient with a 5 litre / 40 cu ft bailoutcylinder if the diver is not going to do a decompression stop. Technical divers need to consider a lot of differentscenarios when it comes to reaching the surface in a safe manner if they needto bailout from the loop. They would need several bailout cylinders withdifferent gas mixtures to safely make it to the surface. 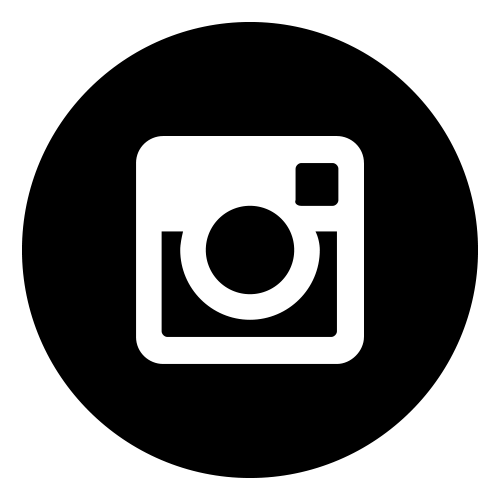 There are two types of rebreather; recreational and technical. Recent technological breakthroughs have opened up rebreather diving to divers of all experience levels. All divers and non-divers can become certified to use a recreational rebreather such as the POSEIDON SE7EN, because they are fully automated and monitor all safety systems during the dive. 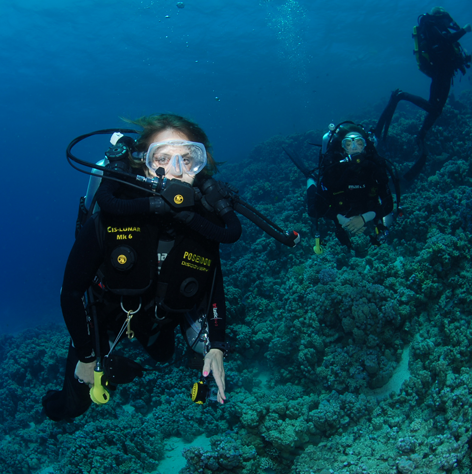 Technical rebreathers require special training in deep water and are suited for more advanced rebreather divers looking to graduate to the next level. The benefits of technical rebreather diving are huge when compared to technical diving on normal scuba diving equipment. The benefits include shorter decompression times, lower gas costs, and a better dive experience. The POSEIDON SE7EN can be upgraded to a technical rebreather in several stages, which means you can choose at what pace you learn to become a technical rebreather diver. There are two styles of rebreathers: Closed Circuit (CCR) and semi-Closed Circuit (s-CCR), described below. 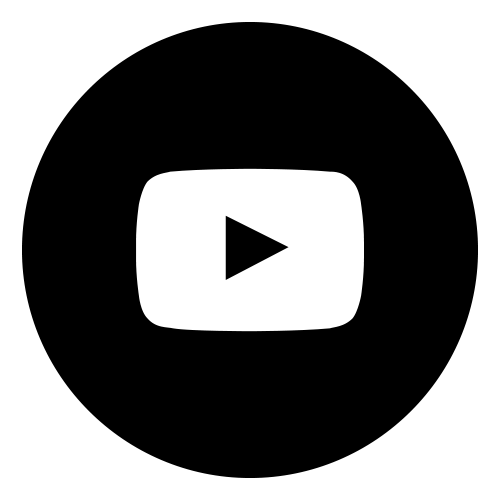 Either of these styles can be electronic or manual, depending upon the individual model. When we’ve discussed rebreather benefits, we are describing the benefits from Closed Circuit and not semi-Closed (which produce bubbles). Closed Circuit Rebreathers utilize two gas cylinders: 1 diluent tank (normal air, enriched air, trimix) and 1 oxygen tank. The closed circuit rebreather will add the exact amount of oxygen needed and will be more efficient and quieter than the semi-closed system. Semi-Closed Circuit Rebreathers (SCR) only use one gas cylinder with an enriched air content. It usually pushes gas into the loop with a constant flow. The oxymoronically named semi-closed rebreather isn’t as efficient as the closed circuit rebreather and will need to let gas out from the system every other minute. 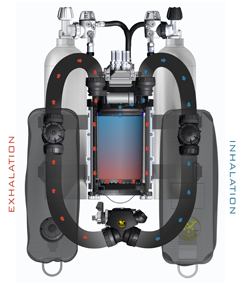 Electronic rebreathers (recreational rebreathers fall into this category) monitor the loop with the help of computers and other systems to make sure that the loop is breathable. They add oxygen to the loop automatically to keep the loop oxygen partial pressure in correlation to the setpoint. This takes away some of the task loading pressure from the diver, maintaining a breathable loop at all times. For a rebreather to become a recreational rebreather it needs to be monitored with electronics. Manual rebreathers require the diver to manage the gas content of the loop. The rebreather still monitors the loop partial pressure but the diver needs to add gases manually. This opens up possibilities for the technical rebreather diver to dive deeper and longer, but also increases risk and requires significantly more skill and attention to maintain safety. Oxygen metabolism: You metabolize oxygen all the time when you breathe. The rebreather needs to add more oxygen to the loop as you use up the oxygen content. The machine needs to determine how much oxygen is needed in the loop and uses oxygen sensors to analyze the gas. Electronic rebreathers (eCCR) add oxygen automatically. On a manual rebreather (mCCR) the diver will need to add the oxygen manually when he/she spots a low fraction of oxygen reading from the oxygen sensors. Carbon dioxide: When you metabolize oxygen in the loop the “waste product” produced in the body is called carbon dioxide (CO2). This CO2 needs to be removed from the loop so that the diver can get a continuous and sufficient amount of oxygen. This is done with the help of a canister filled with soda lime that “scrubs” the loop clean from the CO2 access.